I just realized as we pull in to 2017 it’s been 40 years since Saab introduced the Saab 99 Turbo! This article is my reflections on my experience with what is my one of favorite cars of all time. Ten years ago I launched the Saab 99 Turbo Registry which also coincided with the 30th anniversary of the Saab 99 Turbo. The 99 Turbo remains my favorite Saab and in fact my favorite car I have ever owned. Astonishingly, I had been a Saab fan for over 20 years before I even knew about the Saab 99 Turbo. I first became familiar with Saabs in the early 80s, growing up in St. Louis, Missouri where they were popular. My 1978 Saab 99 Turbo. In this photo I had driven 3 hours through the beautiful Fall colors in the mountains of Northern California and vineyards of Napa Valley to be with family for Thanksgiving. One of my favorite memories of that car. A few years later in 1985-1987 when I was in college in Boulder, Colorado, the Saab 900s – particularly the SPGs – were a coveted car to have. I was a bike racer and I also noticed on long training rides you’d see two kinds of cars in the small towns high up in the mountains: 4-wheel drive trucks and old Saabs. However it wasn’t until 2000 that I bought my first Saab: a 1993 Saab 900 Turbo convertible. 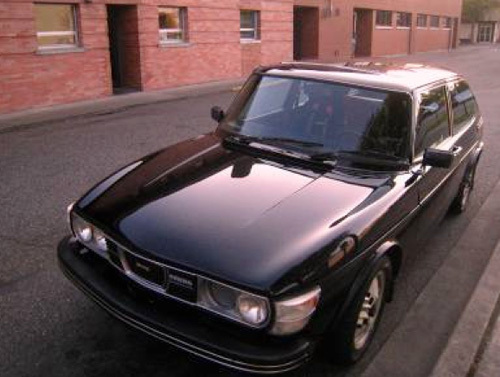 A year later I bought my 2nd Saab: a 1982 900 which I got for $800, so I now had two Saabs. I actually really loved the simplicity of the ’82 900, making it my daily driver and keeping the convertible for weekends. By 2005, with a baby in the house and another on the way, I had sold the convertible since it was no longer practical and was just driving the ’82 while I figured out my next car. My wife suggested I look at the newer, GM Saabs, which I resisted, considering myself a ‘classic Saab’ fan. However, I discovered the Saab Viggen and fell in love. 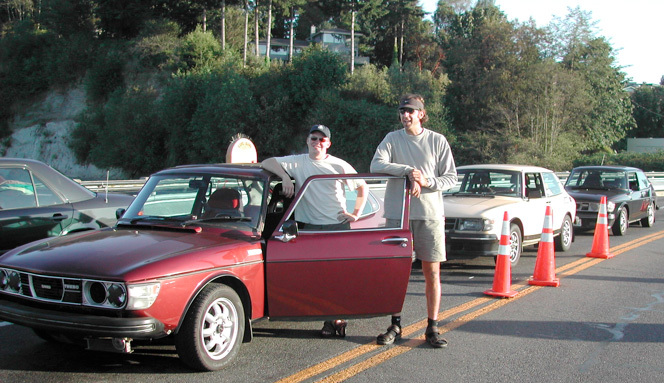 In the Summer of 2005 I bought a gray 2001 Viggen and was absolutely crazy about that car. Yes it was a ‘GM’ Saab but I felt like they really did a lot to stay true to the classic Saab ethic and the Viggen felt like an SPG approach to the standard 9-3. My addiction to Saabs was really taking off at this point. 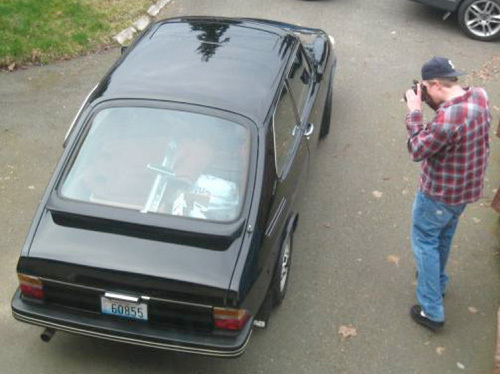 The guy who sold me the Viggen – like many Saab owners – was so cool. He included a collection of Saab magazines, articles and books. An evening ritual became hunkering down with a glass of wine and delving into the old articles and especially the books to explore the history of this incredible car company. 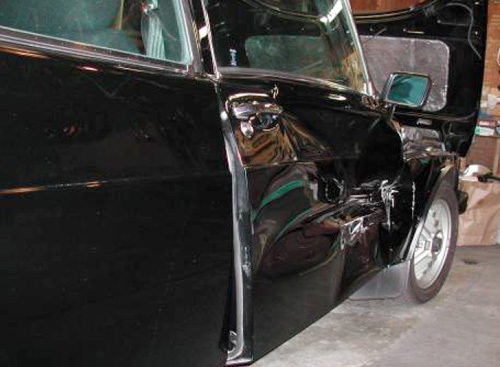 There was so much to love about the company, its people, its history and of course, its cars. 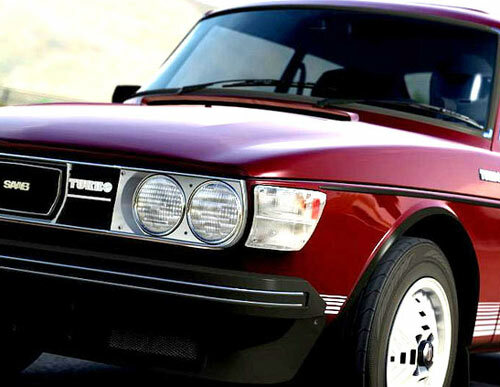 I was in love with so many of the models, but the one that really found its way into my heart was the Saab 99 Turbo. It was similar to the 900 I was so familiar with, but had more of a snub nose and unique details that made it so close to the iconic 900 but also set it in a class of its own. A particular eye-catching detail was the Inca rims. There never was nor has been a wheel as uniquely cool as the Saab 99 Turbo’s Inca rims. While I had my Viggen in the garage (which I loved) and the 1982 900 as well (which I also loved and drove regularly), I became obsessed with the 99 Turbo. While I continued to immerse myself in the history and details of the car, I also found myself regularly in the classifieds of Saabnet and eBay, drooling over the 99s. By later that year I had found “the one” and somehow convinced my wife to let me get it, in spite of having just brought our latest baby into the home. My 3-year-old son and I caught a flight from Redding, California to Seattle where we met the sellers that same day and started our trip home. It was a great way to start my relationship with that incredible little car. We spent the first night right outside Seattle, then continued on down through Oregon. The 99 Turbo was such a fun car to drive. It did not have power steering so you really felt the steering and had to put some muscle into turning at times. 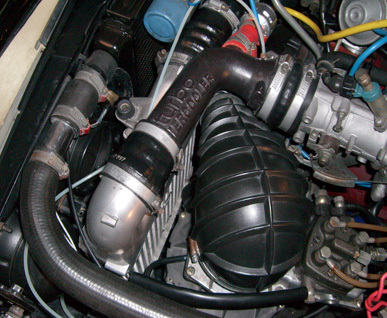 The kick of the turbo was unique to the 99 Turbo as well: it had a very raw power in the way it kicked in that you really have to experience to understand how it is different from other turbos such as in the SPG. Mainly I think because of its age, the Saab 99 Turbo just had a simplicity that made it feel simple, classic, raw. There were also a number of features that made the 99 Turbo unique. It has a turbo boost gauge on the dash to the left of the steering wheel. It also had unique “Alligator Clip” seatbelt that did not have a clip. This always threw anybody off when they got in for the first time and started searching for the clip part of the belt. With these belts there was just a strap and you put into the Alligator Clip. You can see it in the video I produced which was another awesome day I spent with my 3 kids, again driving from Redding, spending some time in Clear Lake, California before winding through the mountains down through Napa into Sonoma County. I sold the 1982 900 as part of my deal with my wife to be able to buy the 99 Turbo. Those were certainly incredible days with my two dream Saabs and to this day it would be hard to choose one over the other. 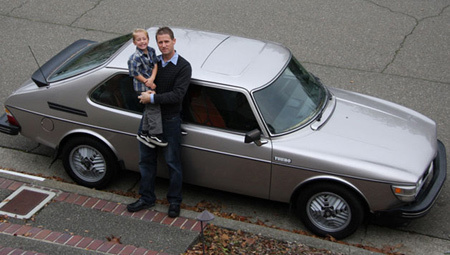 That said, I have to conclude that the Saab 99 Turbo was my favorite of all the cars I owned. It uniquely captured the spirit and history of Saab and was a special pivot-point for such a cool company. It had the classic lines of the 900 but also had a raw edge and power that made it so damn fun to drive. Sadly I had to sell my 99 Turbo a few years back. Of all the cars I’ve owned, it’s the one I miss the most and I can’t help but hope I’ll find myself behind the wheel of one again someday. 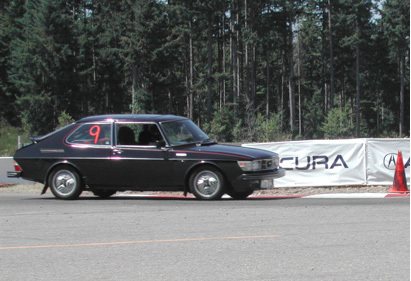 Saab99Turbo.com is managed and sponsored by Santa Rosa web design company Abra Marketing. I’ve always been more of a lover of the stock versions of vehicles. Saab did such a great job on the design table, I’ve always loved them as they came off the factory line and mostly cringe at custom versions. 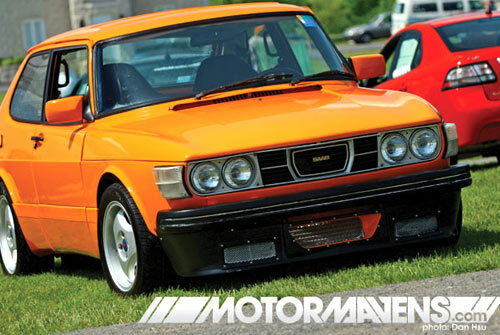 But I’ve come across this article a number of times and just love John Webber’s orange 1978 Saab 99 Turbo. Let me know your comments. Classic or Custom? Which do you prefer? Send us your photos and I’ll append them to this story. See the original article on Motormavens. Great image of a Saab 99 Turbo from the Forza Motorsport Xbox game. I have to give the development team credit – they did a beautiful job recreating the Saab 99 Turbo with beautiful attention to detail. You can see the original, full-size image here. 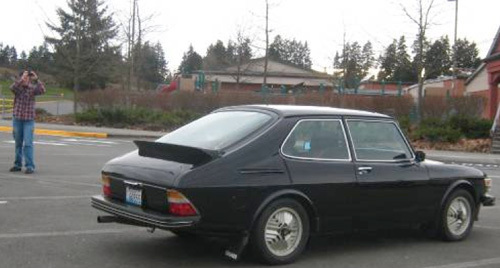 A 1978 Saab 99 Turbo is now available in a video game for Xbox. Registry Member Dennis Lin’s beautiful black 99 Turbo was used by the Microsoft team to photograph and create the digital version. The 99 Turbo was one of 10 classics released on 12/14/2010 as part of the Forza Motorsport 3 Classics Car Pack available for purchasing on Xbox LIVE Marketplace. I welcome input from anyone who has greater insight into the Forza Motorsport 3 XBox game. 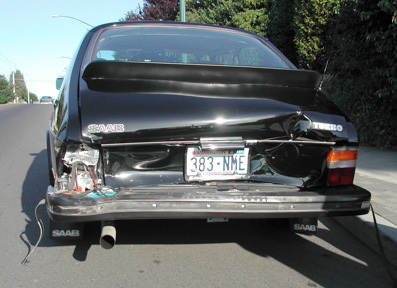 Just wanted send out and update from Saab99Turbo.com. Saab 99 Turbo. It is out in the February 2010 issue of Hemmings Sports & Exotic Car magazine. The nice 6-page article starts on page 80. You can find copies at most Borders and Barnes & Noble stores. I spent a good amount of time in December helping one of our members add his collection of 39 Saab 99 Turbos to our Registry. View the impressive collection on our site. I’ve also started a series of articles about this collection in the Saab 99 Turbo blog called the ‘Saab Addicted‘ series. More to come soon on these. Also want to remind everyone we have FREE classifieds. This is open to anything related to Saab 99 Turbos so please feel free to spread the word. I found a website that sells Saab 99 Turbo t-shirts, so I even put that on there. 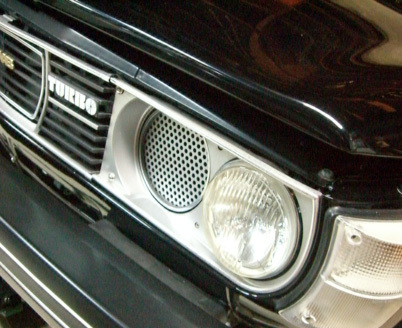 I added a Saab 99 Turbo Video section to the website. I just have a few on there for now, but feel free to send me any videos you think should be on there. If you have a car on the Registry, please update your mileage and also please check to confirm you have correctly indicated if it is in miles or kilometers. If possible, anyone with high mileage cars, please add a photo of the odomoter like our high-mileage leader Jeff Henderson (510,000 miles) did. This helps add legitimacy to these listings. Also wanted to remind everyone about the ‘On The Road’ page of the site. Anyone with a 99 Turbo registered on the site, just check the box ‘On the Road’ next to any images you upload that show your car ‘on the road’ and it will appear on this page. Lastly, if anyone is interested in advertising to our members, please let me know, or pass along our site to anyone you think could benefit from advertising on Saab99Turbo.com. As always I welcome your suggestions to make this website better. If you want to write an article about anything related to Saab 99 Turbos – restoration, history, an experience you had with your car, etc. – just send them to me and I will post them on the site. Not for everone. Essential to a few. I noticed early on that Saab owners more than other auto fanatics are particularly known for liking to have multiple Saabs. I, for example, have 3 (I would have 4 but my wife made me sell my 1982 900 when I got my 99 – and actually I’d have even more, budget permitting). 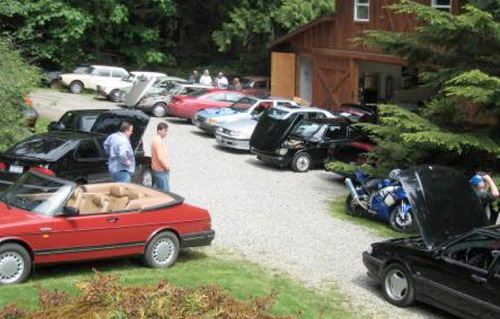 Even among Saab owners, though we have a very special collection here. And finally, thanks to a serious effort by me and our member who prefers to be known only as “Saab 99 Turbo Heritage,” we now have all of his 39 (that’s thirty-nine!) Saab 99 Turbos on the Registry. Click here to see all 39 of our member Saab 99 Turbo Heritage’s Saab 99 Turbos. Next on our list is to complete adding photos for every car and also to complete any missing information, mostly mileage. I appreciate everything this member has been teaching me about these cars. 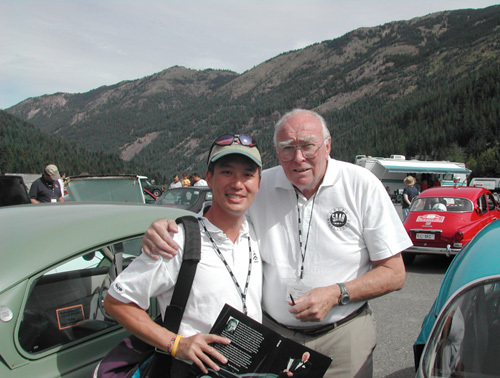 As I said to him, I only discovered the 99 Turbos in 2005, so I still have a lot to learn. Adding his cars has given me an opportunity to continue learning more and more about the nuances of the various 99 Turbos that are out there. 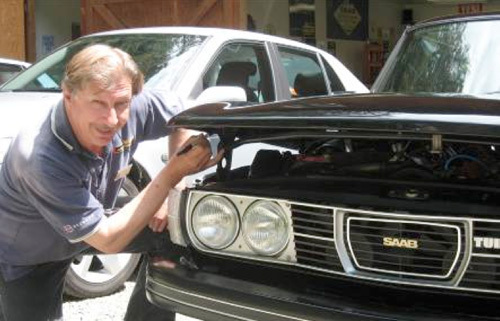 One of my favorite cars is the first Saab 99 Turbo he bought that started the bug of what is certainly the largest collection in the world. 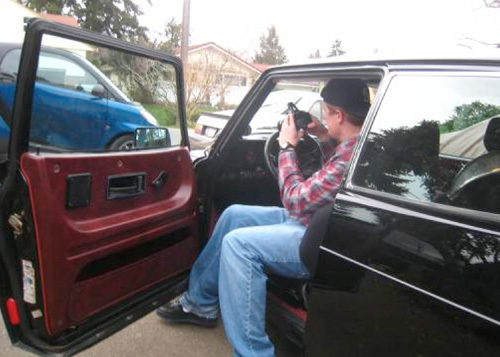 I’m especially looking forward to getting the photos of that special 99 Turbo on there. Here is the latest addition to the collection of 30 Saab 99 Turbos in our Registry for a single owner: #13 of 30+ Saab 99 Turbo’s. We also added a pretty image to one of the previous listings. It’s letter from the Saab marketing department about this Limited Edition, 5-door Saab 99 Turbo. Click here to view the listing. We have now received the ‘Type Approval’ certificate for this model. As most of you are aware from various ‘leaks’, we only have a limited number of just over 100 of these, therefore they are and will become “collectors pieces”. Stereo radio and stereo cassette player. We are now awaiting your orders. These cars will receive no publicity or normal promotion but have been mentioned to the press.